Amazon S3 provides a cheap solution and easy to use solution to back up your Linux server or files on the cloud. The Linux s3cmd script lets you use rsync to backup folders and files easily, and you can even choose to just backup files that have changed since the last backup. Next, you need to configure the application to use your AWS credentials. 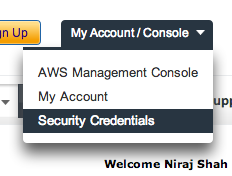 You can find your “Security Credentials” from the “My Account / Console” menu from the AWS site. 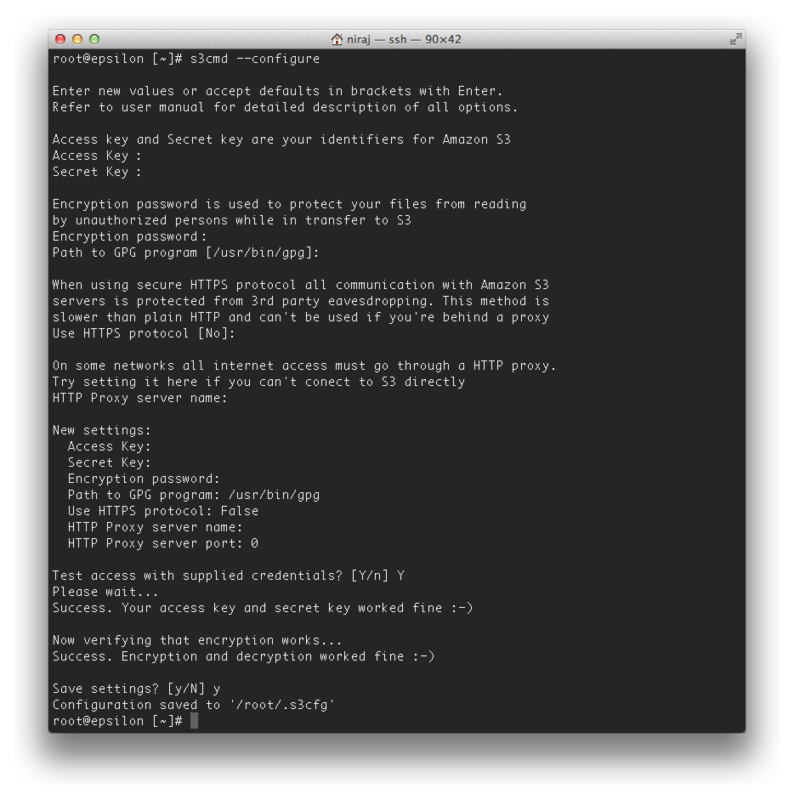 Then, you need to run the s3cmd --configure command. You’ll be asked to enter your AWS Access and Secret keys so the script can access your S3 buckets. Thank you Niraj. Nice precise information on howto set-up Amazon S3 as your back-up server using Linux. Within a couple of minutes and your information my Debian Linux was backing up! Thanks for the short and sweet of it. Very useful information, I am looking into serving all my images and static files through CloudFront and this may come in handy. Thank you very much! Very easy to set up and it works great. I’m doing this rather than use a pricey cloud backup service. Dynamite tutorial, Niraj. With the addition of a small shell script, I’m now backing up key files on client sites, automatically and only when needed. Thanks much! Thank you so much Niraj 🙂 Please give me your mail Id so I can ask you any doubt in future. Use the contact form on my site to get in touch.